Grab the popcorn, drinks, and claim your seat. The movie is about to begin. Lights dim, and the black, silent room slowly awakens. Starting with a faint but apparent rumble, an explosion in the distance. A voice screams, “look out!” Gun shots go off behind you, a jet streams overhead as your heart beats faster and faster. You grip the arm of your chair in suspense, the scene ends and you relax, look around, and smile. You are at home. 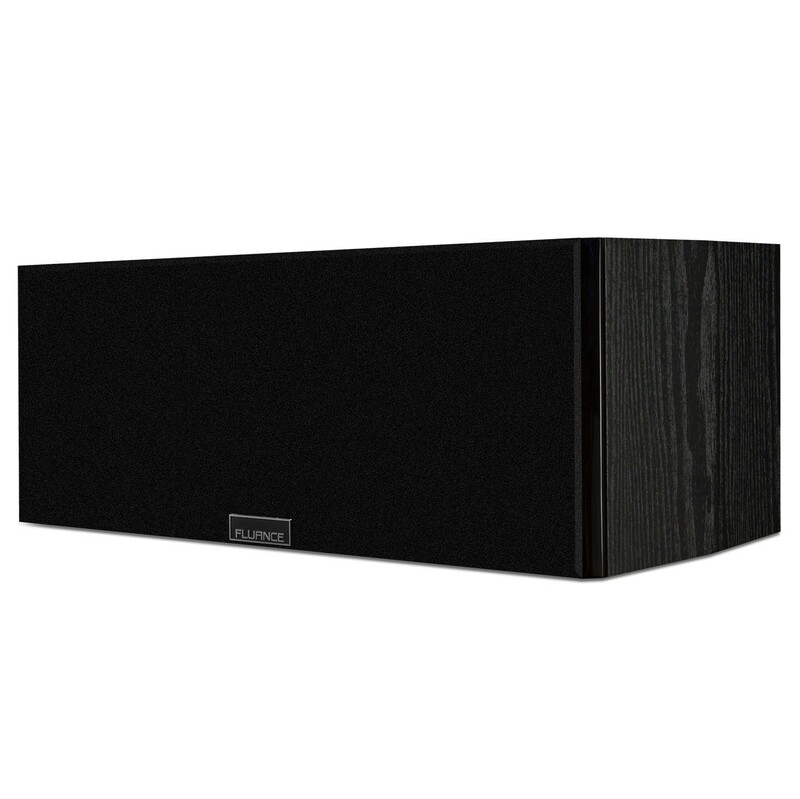 The Signature Series is a powerhouse in home audio. 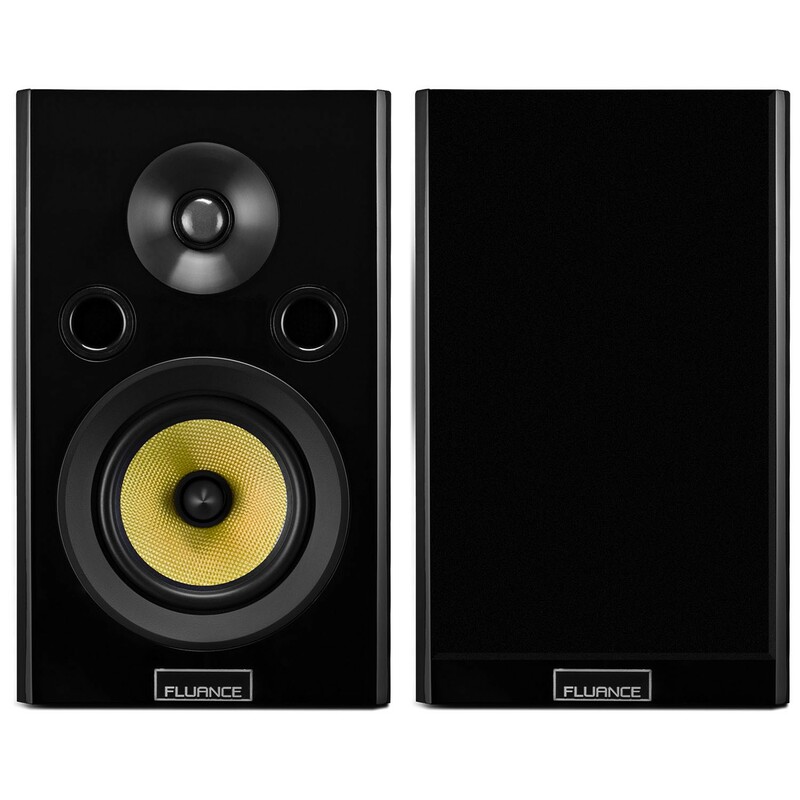 From the powerful woofers, to the ultra-high end tweeters, to the premium midrange drivers, this speaker system is the result of years of meticulous engineering. With a focus on sound excellence, every detail has been measured, tested, and perfected to recreate even the finest audio details with crystal clear accuracy. 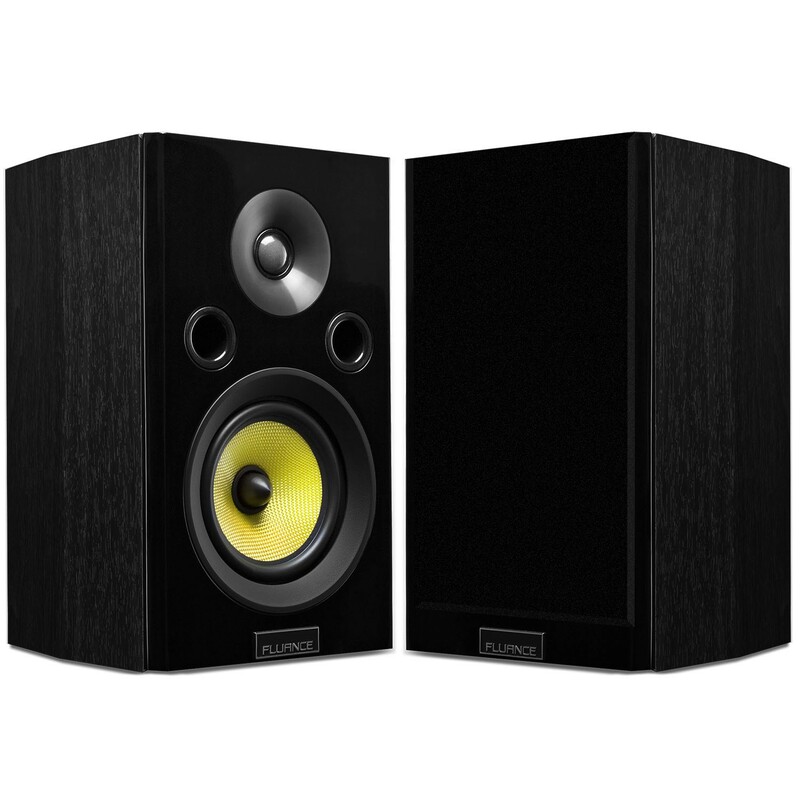 The Signature Series speakers take theater quality sound to the next level. 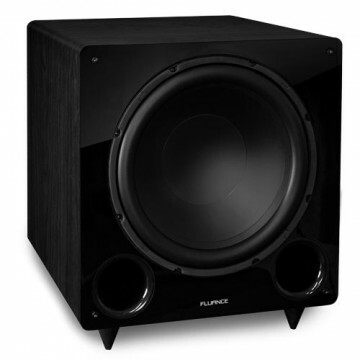 Powerful dual 8” woofers ensure the low frequencies are met in every demand. From the lowest, deepest bass beats to the wildest explosions, you will experience every rumble. 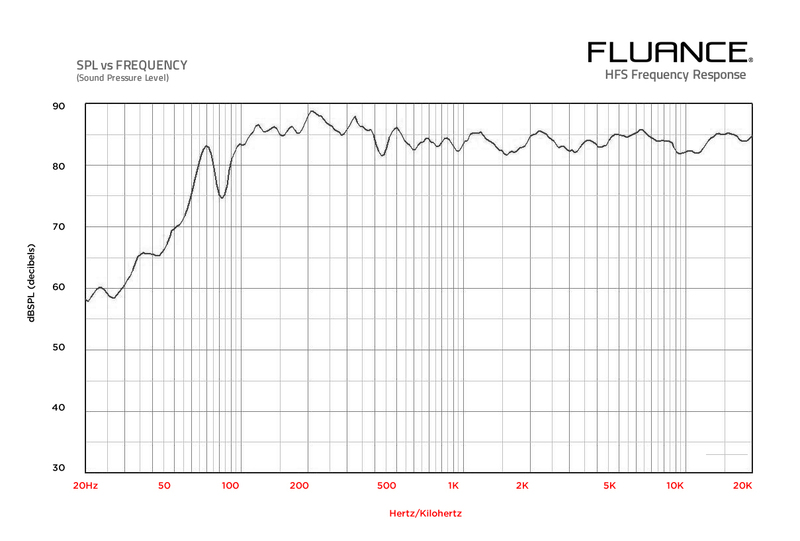 Lows kick in at 35Hz and hold their own throughout. 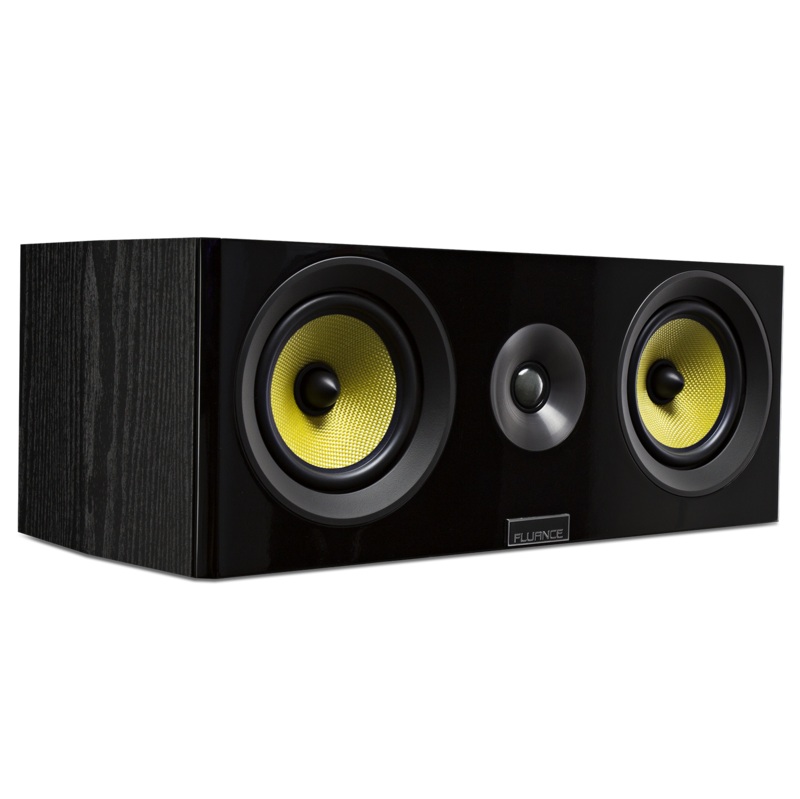 The long throw woofers’ massive bass extension produce deep, clear, undistorted bass performances that will leave you breathless. The Signature Series midrange drivers are woven with light weight yet rigid glass fiber for optimal linear movement to handle even the highest volume levels and still ensure sonic precision and clarity. 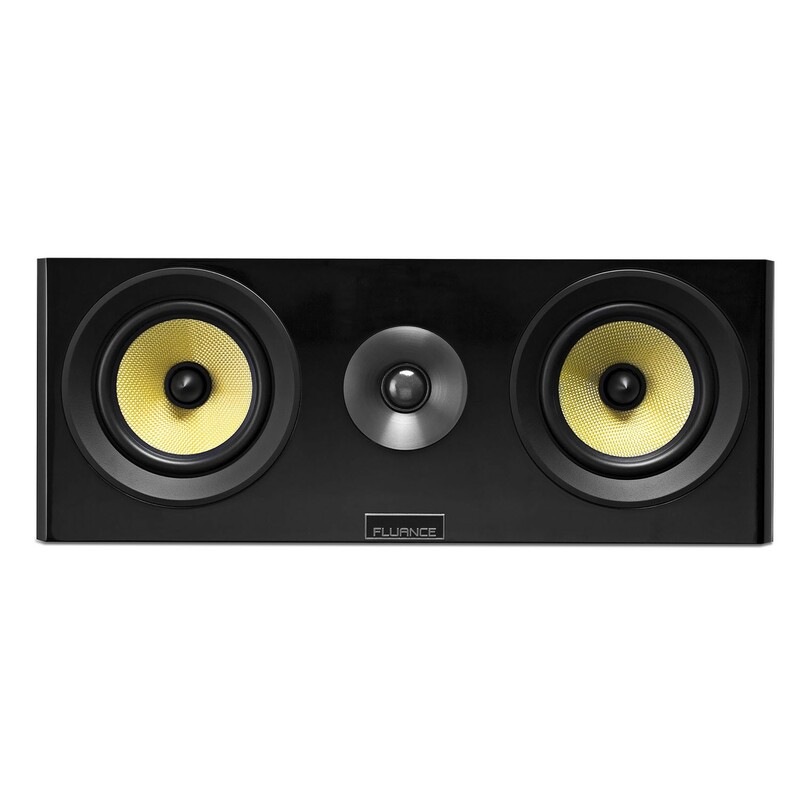 The unique pointed dome allows sound waves to travel directly from the center of the cone for an enhanced soundstage. This guarantees every movie is heard the way the sound producers intended. 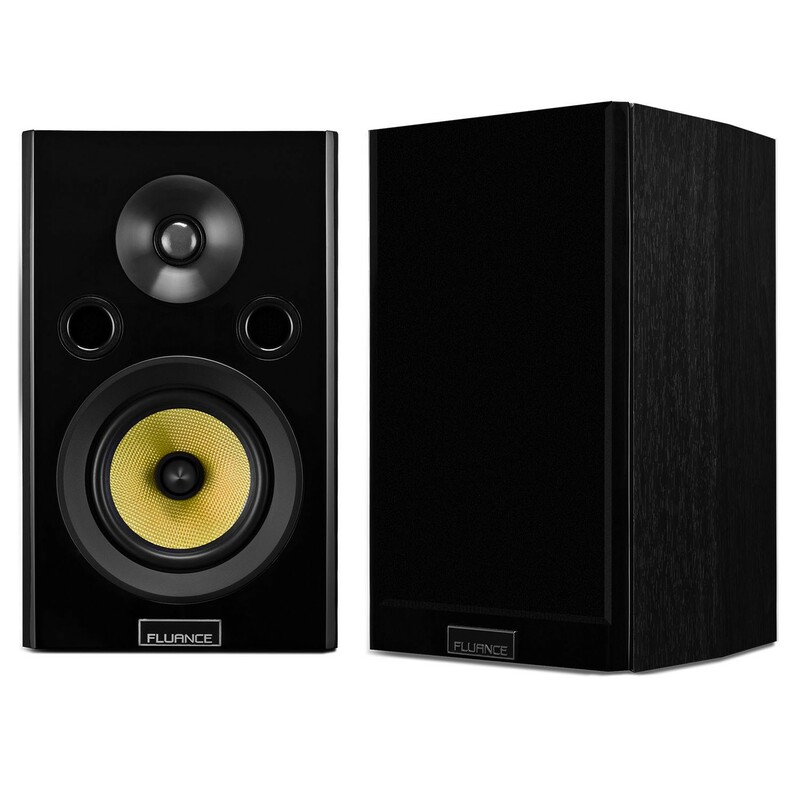 The Signature Series ultra-high end Neodymium tweeters produce high frequencies with captivating clarity and spacious imaging. 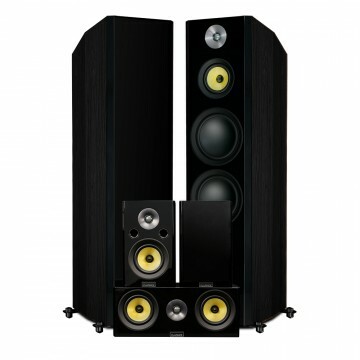 A true three dimensional soundstage is achieved by using the same tweeter in all five speakers resulting in an equivalent tone from every direction. Controlled, smooth and never too aggressive, these tweeters will deliver the movie’s finest details. 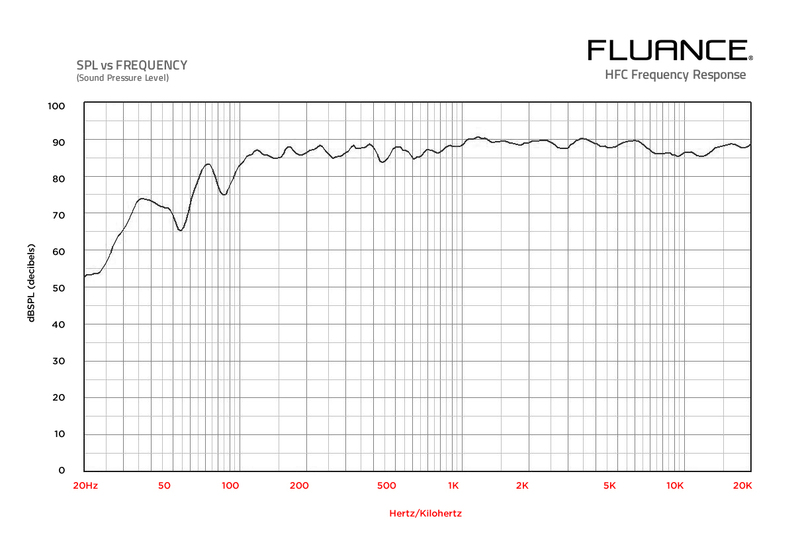 When developing the Signature Series cabinets, Fluance set out to create something that would not compromise on sound quality. 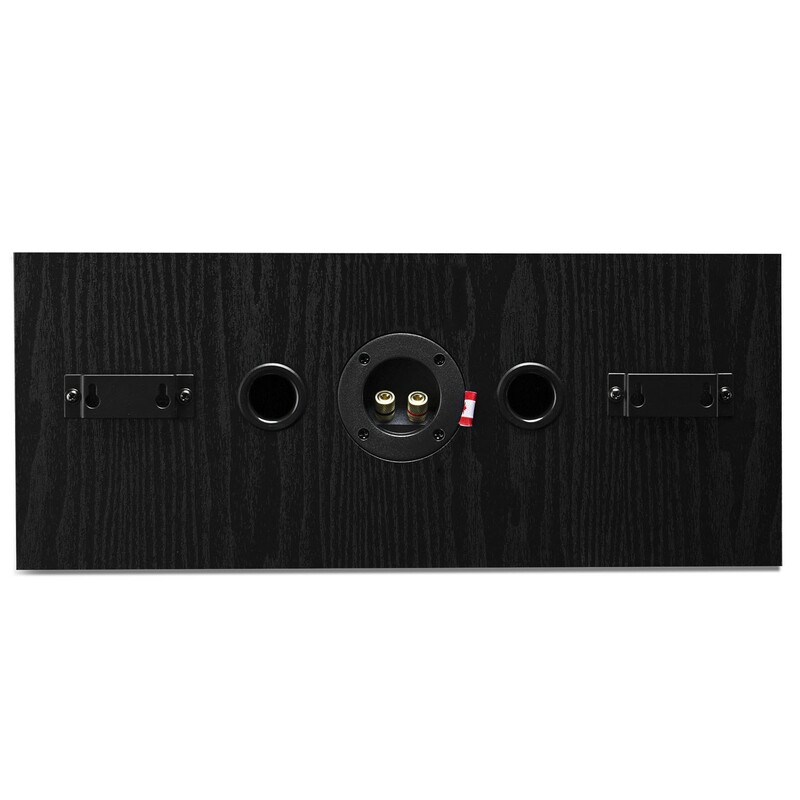 Not just for looks, acoustically inert, the cabinets are precision crafted with engineered MDF wood to create a warm, distortion-free sound. 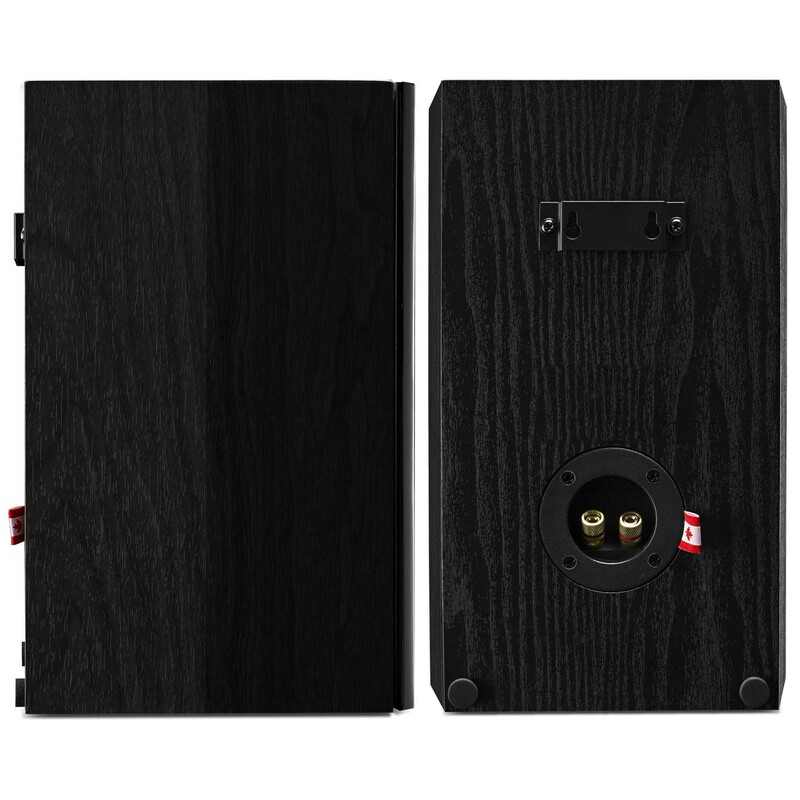 The tapered cabinet design reduces standing waves eliminating unwanted cabinet resonance. 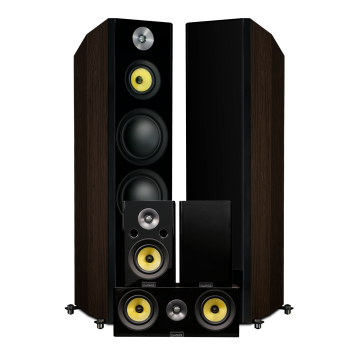 The tower speakers’ cabinet is composed of separate internal enclosures keeping sound waves isolated to eliminate any acoustic interference. Solid front baffles bear chamfered edges to significantly decrease sound diffraction. Outriggers with sound-isolation floor spikes not only create a commanding stance, but functionally eliminate floor reverberation and distortion. 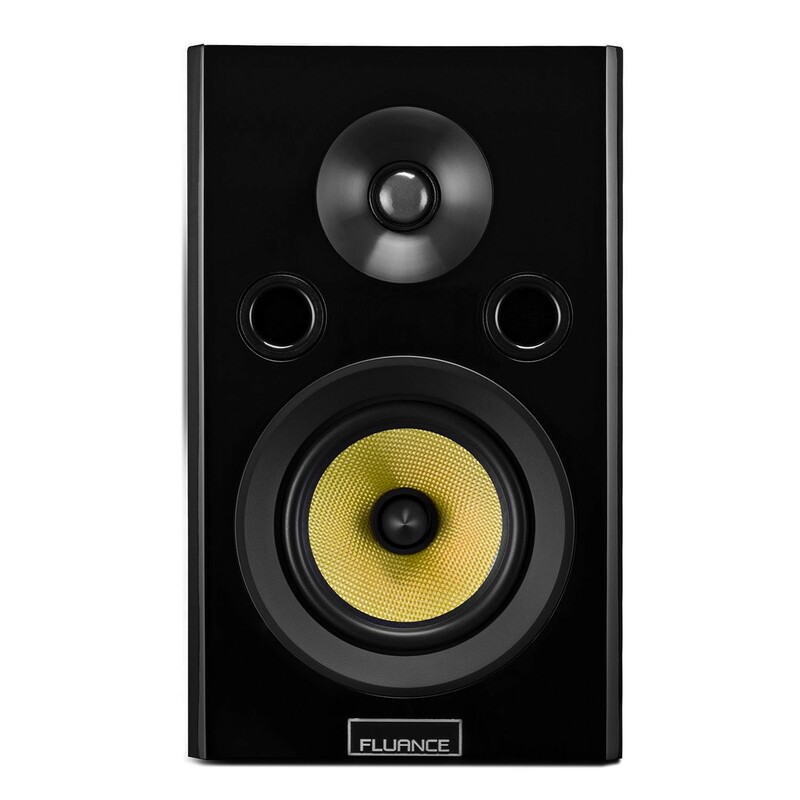 The polished piano black and rich woodgrain finish adds elegance to the power that is Fluance. 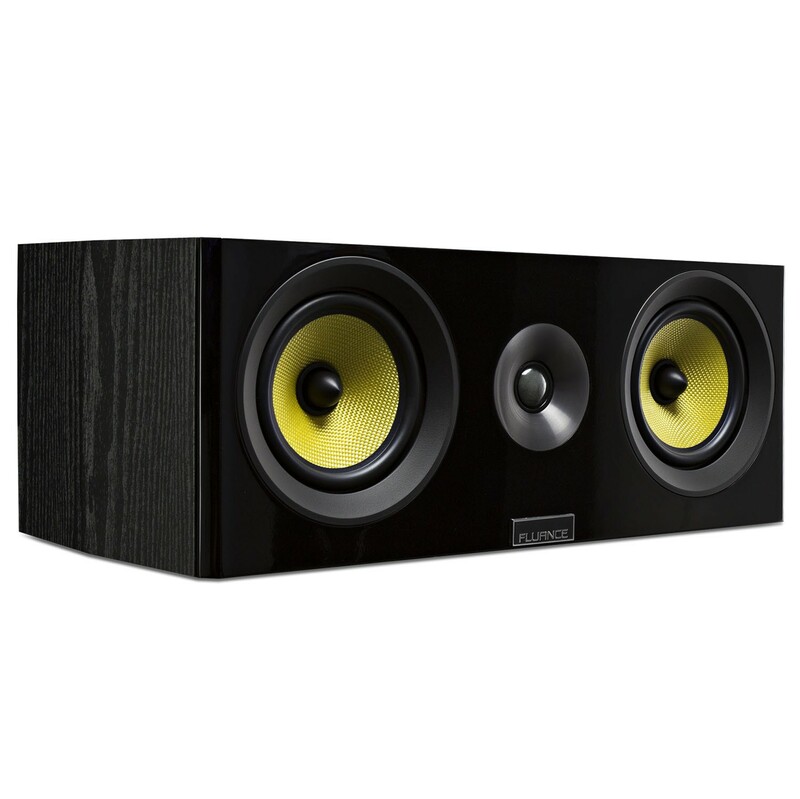 Every fine detail has been engineered for one purpose, superb audio reproduction. Outriggers with sound-isolation floor spikes not only create a commanding stance, but functionally eliminate floor reverberation and distortion. "Where the Fluance shone, though, was in intelligibility and open-ness. Big songs sounded even bigger, and male voices sounded especially expressive and natural. 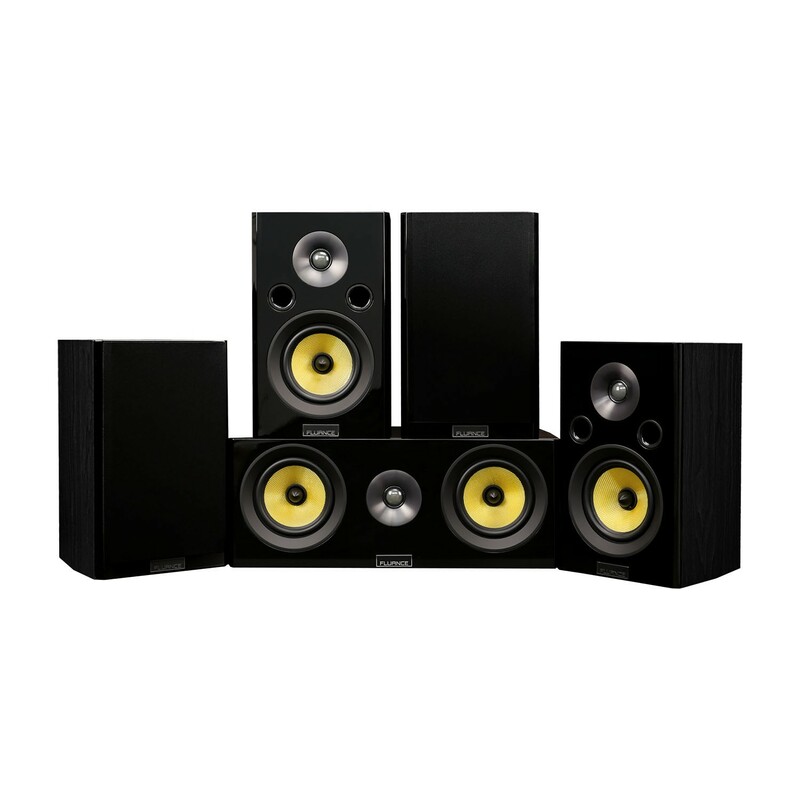 And this helped every type of music we played though these speakers."